Implementing orientation of school year 2017 - 2018, Hanoi National University of Education is focusing on renovating the training program of the school at all levels and training system. 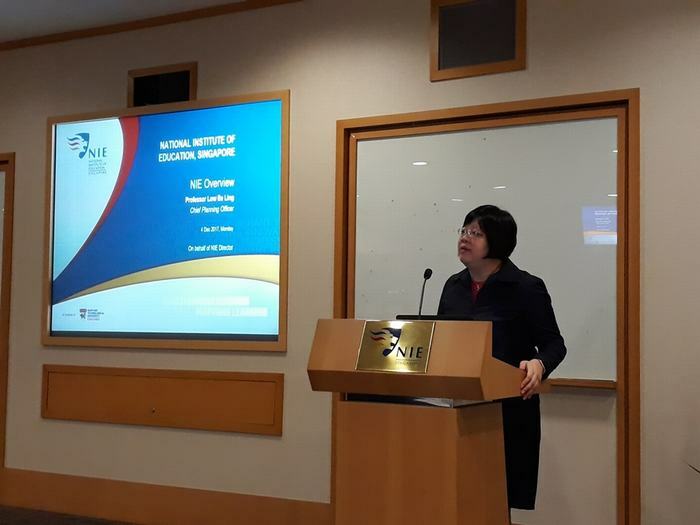 In order to prepare the scientific and practical basis for this important innovation, the University has sent a delegation leaded by Prof. Dr. Do Viet Hung - Vice president to the National Institute of Education (NIE) of Nanyang Technological University (NTU Singapore) from November 3rd to November 12th,2017 to visit and study their models and training programs. In order to ensure the effectiveness of the mission, the school assigned the members of the delegation to investigate NIE Institute in advance. As a result, each member of the team suggested specific investigative or needed further exploration issues. This is also the problem that HNUE requested NIE Institute to share with the delegation. The delegation of Hanoi National University of Education, leaded by Prof. Dr. Do Viet Hung - Vice President, included leaders of the Faculty of Chemistry, Biology, Information Technology, Technology Education, Psychology and Pedagogy, Educational Management, English, Postgraduate Affairs, International Relations, President’s Office, Information Technology Center, and Center for Research and Teacher Professional Developement. NIE Institute has assigned the leaders of each professional field to welcome and work with the delegation’s members. Specifically Prof. Low Ee Ling - Head of Strategic Planning; Dr. Chua Bee Leng – Curator of Teacher Training, Assoc. Hairon Salleh - Curator of Postgraduate and Teacher Training; Dr. Goh Chor Boon - Head of International Cooperation, Assoc. 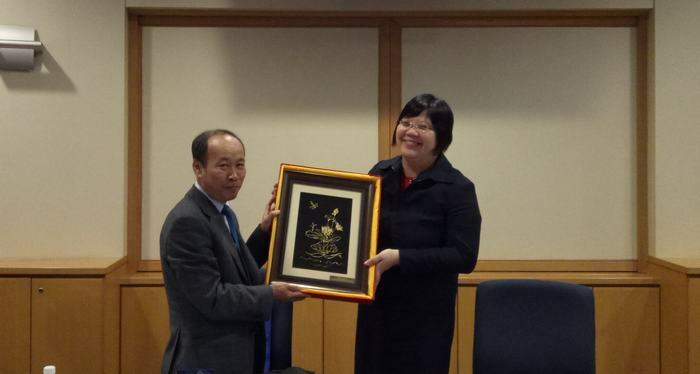 Yan Yaw Kai - Dean of the Faculty of Natural Sciences, and lecturers of Mathematics, Physics, Chemistry and Biology. - Mission, vision and concreted mission, visibility in defining strategic planning, managing all aspects, and controlling quality of NIE. - Teacher training models and programs: from enrollment to design of training programs, pedagogical development, and capacity assessment according to the outcome standards of the 21st century. - Postgraduate training programs, scientific research; models and measures of teacher and educational administrators training with the support of the Internet. 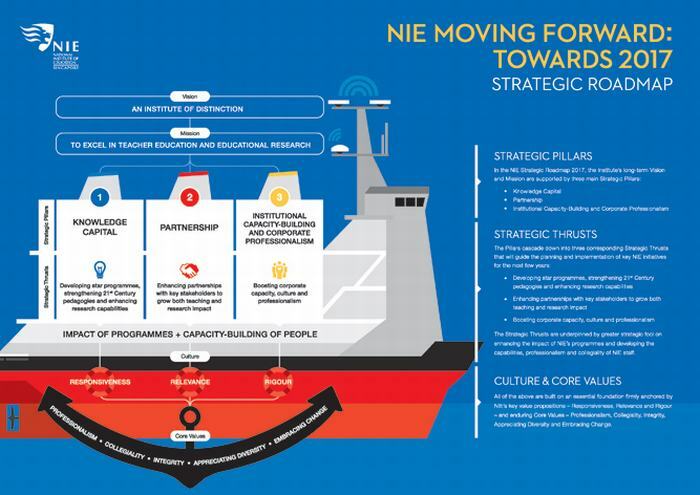 - NIE's partner school network: sustainable coordination mechanisms; the role of NIE lecturers and teachers in the organization, supporting students to practice pedagogy, pedagogy/pedagogic practice; pendagogy / pedagogic practice statue. - Information technology infrastructure supporting research, training, administering university, and e-learning systems for teaching and evaluating according to blended learning model and flipped classroom. - Curriculum for natural science and natural sciences’s teaching practices teachers in secondary schools. Two delegations of NIE and HNUE took photograph at the Navigational Hall of Mission, Vision, Core Values ​​of NIE Institute. The visit and working time is not long but has brought lots of information, important and necessary knowledge for the renewal training program of Hanoi National University of Education in the spring of 2018.